Patti Brady is the Working Artist Program Director for Golden Artist Colors. She has developed curriculum for acrylic classes for artists and art educators. Patti currently has trained and manages 42 national and international artists for the Golden Working Artist Program in the US. Canada, Korea, France, Austria, Spain, Mexico and the Netherlands. 2004 and 2006 she traveled to Japan for Golden Artist Colors to lecture at Universities in Tokyo, Osaka and Kyoto. Her paintings and prints have been exhibited nationally and reviewed by the New York Times. 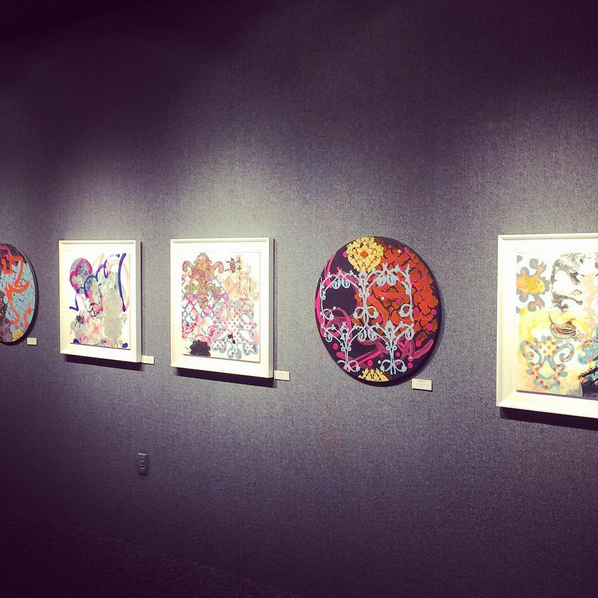 She has exhibited at the Brand Library, Glendale, CA., Arch Gallery, Chicago, IL., Mills College, Oakland and U.C. Berkeley CA., Greenville Museum, Lander College and U.of SC. Furman University and the Governor’s School. 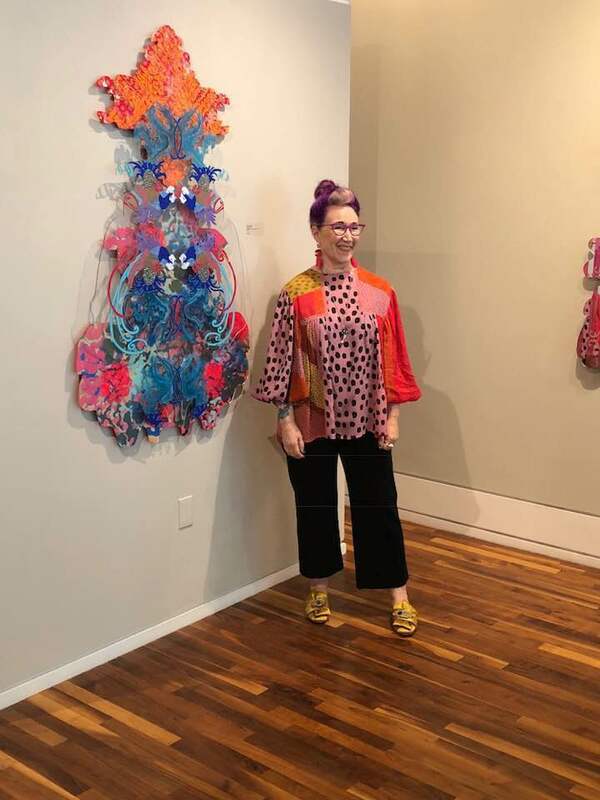 Her work is in the collection of Greenville County Museum, The Contemporary Collection of MSUC in Charleston SC, (the largest collection of contemporary South Carolina on permanent display), and in The Mark Coplan Collection at the South Carolina State Museum and County Bank . She was the recipient of the South Carolina Arts Commission Fellowship in 2007. One visual artist is chosen each year..
Patti was Chair of the Greenville Open Studios project for 2002-2005. She was awarded the Distinguished Volunteer to Influence the Visual Arts for her work in this community effort. In 2006 she was commissioned for eight paintings on Plexi panels by Whole Foods, Greenville SC. Included with the commission are reproductions of original paintings for the café table tops. Please confirm your subscription by going to your email. Thank you for signing my occasional newsletter with fun learning opportunities.